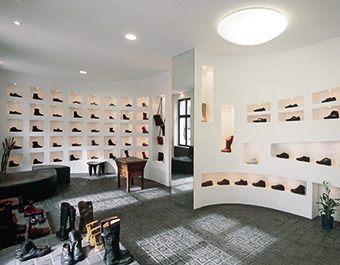 The first Trippen flagship store opened in the Hackesche Höfe, in the old centre of Berlin, in 1995. During the early ‘90s, the young and innovative art, clubbing and fashion scenes established themselves here. 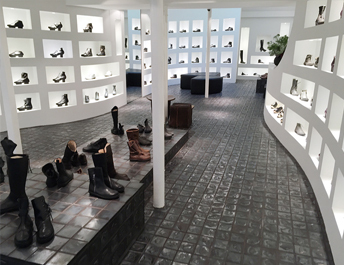 Due to limited financial means and the desire to create a new way to present footwear Angela Spieth and Michael Oehler developed the shop design we still today implement in all our stores worldwide: undulating white walls with illuminated boxes, low platforms that offer a bird’s eye view of the collection, floors covered with handmade terracotta tiles decorated with reliefs of the first wooden shoe collection and no background music. In 1996, Trippen’s potential was discovered in Japan, and the first two partner stores open in Tokyo the following year. 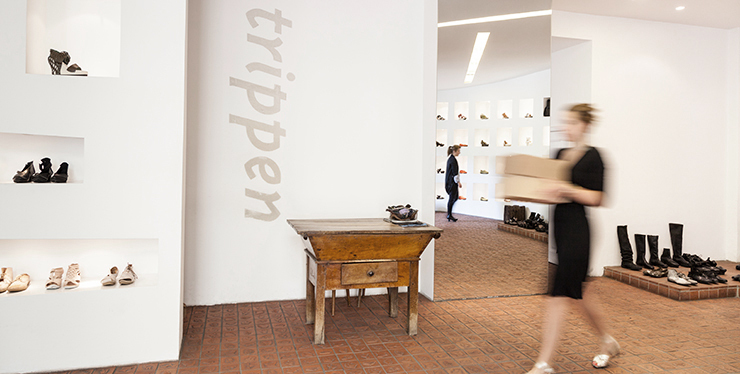 By this time, numerous partner shops in Germany, Great Britain, Israel, Japan, Taiwan, Hong Kong, China, Mongolia and the US had joined Trippen’s own stores in Berlin, Cologne, Munich and Paris. In 2018 Trippen celebrated the opening of P100, a collaborative project space. 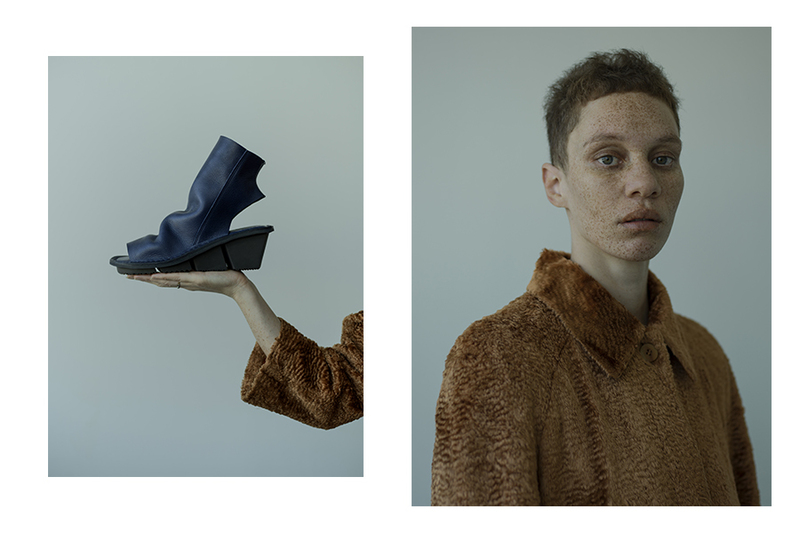 The concept foresees evolving creative exchange and collaboration with artists, designers, galleries, photographers and publishers. 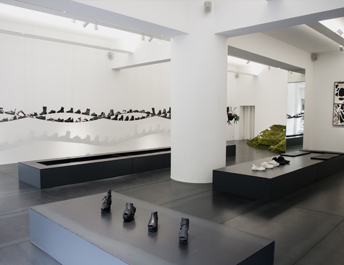 The new location at Potsdamer Strasse 100 in Berlin will provide space for creative ideas and support emerging talent as well as presenting established artists and labels.